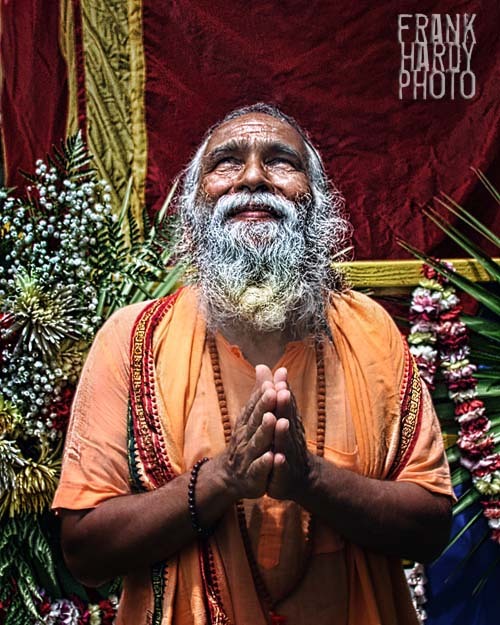 This swami was at a New Age Festival in St. Augustine several years ago and I made this photo of him. It was just an average photo until I ran it through a Topaz filter and it came out like this. He was a very nice guy, but did not speak much English … I was not sure if he was blessing my health or he was making a comment about how much I was sweating on this August day, but whatever it was it sounded good. All I could do was nod and say “si” … that Spanish was the closest Hindu I knew and he seemed to understand. Wish I had more to share on this but that is all.